You are probably familiar with the Battlestar Galactica post from January 2nd. It was written by Chris Ferrell one of the authors of Nerds of the Round Table. I wanted to start a series on my blog that would have stamina. So often people get ideas and they may last for a couple of months then fade out. This series of guest bloggers will appear on the first Saturday of every month. So far four bloggers have either volunteered or agreed to be guest bloggers when I asked them. That leaves eight months left to fill. Feel free to come forward. I would love to hear from you. I read recently that guest blogging should be a win-win-win decision. The guest blogger wins because he gets to share his thoughts with a new audience. They usually put together perhaps a post that rivals their best post on their site and that creates a winning situation for the host blog. The host blogger gets to share a new voice with their regular readers giving a new flavor to their reading palate. Lastly the readers of both blogs win because their regular experience on each separate blog is made new and fresh again. In addition the comments left help give each site links that through Google’s system should help increase our page ranking in search results and therefore increase traffic to both of our sites. I am humbled that Mr. Ferrell agreed to guest blog for me and I have already thanked him but I want to thank him again publicly. Thank you Chris. I feel it was a complete success for both of us. I know you enjoyed writing the post because the subject is close to your heart. Indeed, Battlestar Galactica was one of the best shows in television history. Guest blogging on February 6, 2010 will be JeLisa from …And They Lived Blogging Ever After. If you have never read any of her posts, head on over for a visit and get a taste of what you will get here in February. UStream Update from Chris Ferrell. Interesting information on upcoming posts on his site as well as very complementary words about this site, Morning Erection. See it on YouTube by clicking on the image above (sorry I’m not paying for the video upgrade). Our first guest blogger is Chris Ferrell. When you are finished reading his tribute to one of the great science fiction shows of our generation, Battlestar Galactica; click on over to his site and read more exciting posts. In addition, it would be a great gesture if you left comments below. His guest post is a sacrifice for him and a great honor for me to be able to have a guest blogger. As a favor to me show Chris the courtesy you might want shown to you if you were a guest writer on someone else’s blog. Thanks. If you guys have seen my site, you’ve probably realized that I am a huge fan of the re-make of Battlestar Galactica that launched in 2003. But in all fairness, it took a while for this show to catch on with me. I remember back in 2002 when I heard about the upcoming relaunch of Battlestar Galactica, the first thing that went through my head was, ‘Oh this is going to be just as lame as the original. Why are they even bothering.’ For that reason I didn’t watch the mini-series or season one when they first aired. Yes, you read that right, I was not originally on the Battlestar Galactica bandwagon. I was home on summer vacation from my freshman year of college when I finally gave the show a try. My Dad had watched the mini-series and season one and was telling me how great the show was. Since I was unemployed for a good deal of that summer I gave it a chance. The mini-series was slow burning but at the end I was having a lot of fun. What really got me hooked though was the first episode of season one entitled 33. The basic gist of this episode was the the remnants of humanity had escaped the Cylon massacre but they were running for their lives as the Cylons attacked them every 33 minutes. I thought this episode was brilliant with edge of the seat excitement and trying to figure out if humanity would escape. At the same time this episode really highlighted one the main differences between humanity and the Cylons. The Cylons had no breaking point; as machines they could just keep coming while humans gradually began to weaken and fall apart. 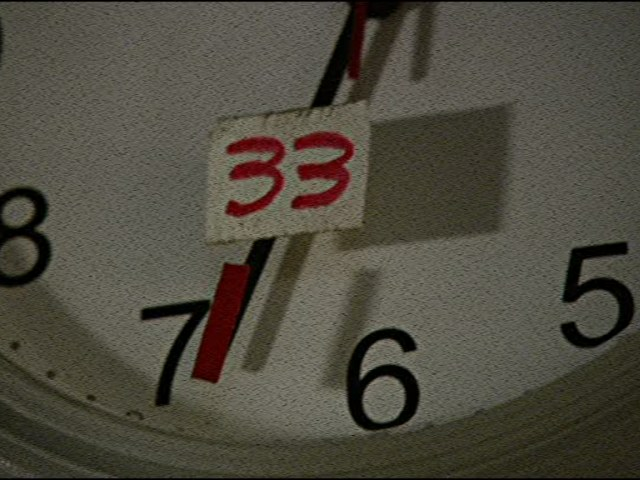 33 was a great episode for getting hooked on the show. From that point on I was hooked. I watched all of season 1 in about 1.5 days. Now here is where you might need to beware if you haven’t seen the show I’m going to talk about a couple of the cliffhangers. The season 1 finale was hell on me. William Adama has been my favorite character in the series and to see him betrayed, shot, and at death’s door made for a cliffhanger that was ridiculously intense for me. Luckily, I only had a few months before my favorite show would return to TV. Battlestar Galactica became famous for me with its mid-season and end of season finales. They always had big cliffhangers. And of course the then SciFi channel would put the show on break for a minimum of 6 months before the next episode would air. 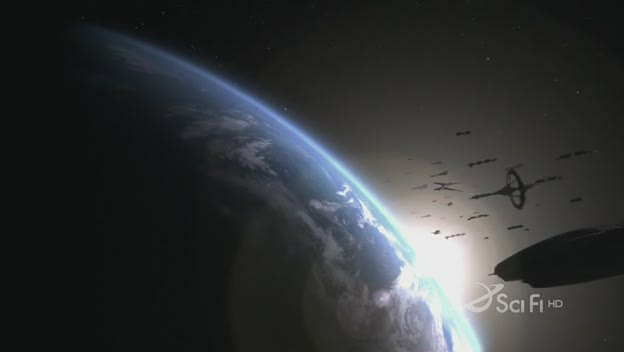 It was like a punch in the gut at the end of season 2 when the Cylons invaded New Caprica, and it was a long 12 months trying to figure out what would happen to the remnants of humanity. Season 3 was probably worse in the cliffhanger factor. Not only had 4 of the final 5 Cylons been revealed but the fleet was trapped in nebula and somehow Starbuck had returned from the dead! I had another almost year to sit there and wonder how all this had happened. What was the significance, had I missed the clues that hinted that Chief Tyrol was a Cylon? How was it possible that Saul Tigh the biggest toaster hater in the fleet was a Cylon? And also, how the hell could Kara Thrace return from the dead, was she the 5th and final Cylon? And if you thought that was bad, they really ramped it up for the season 4 mid-season finale. After years of looking for Earth, humanity and the Cylons put aside their differences to avert another Armageddon. In doing so they find the way to Earth courtesy of Starbuck and her Viper. Its a joyous moment and you’re left thinking everything is coming to a good close. Finally the remnants of the 12 Colonies will have a home. The crew is celebrating and the ‘Old Man,’ Admiral Bill Adama, is able to recover from the sense of betrayal he has received after discovering his best friend is a Cylon. Then, the remnants of humanity land of the surface and find a devastated nuclear wasteland. The supposed paradise of Earth is instead a death sentence to anyone who would dare settle on the planet. At humanity’s landing site there are shattered buildings and broken bridges. The cityscape is eerily similar the cityscape of New York City and in fact the broken bridge looked strangely like the Brooklyn Bridge. Had the crew of Galactica found our Earth after a nuclear disaster? We were left with this cliffhanger for a year before some of the answers started to trickle in. And even then we were left with a good deal of questions. When Battlestar Galactica returned again, I was excited. This was going to be the end, according to the promos during the course of the season “all would be revealed.” The writers had done a great job of seeding little bits of the plot throughout the series that would finally be answered. An example being the Opera House vision shared by Caprica 6, Roslin, and Athena. The meaning behind that and the explanation of why Hera was so special would be coming soon. But before that could happen the end of the world had to happen again. After finding a nuclear devastated Earth all hope was lost within the fleet. Even the strong willed Bill Adama was lost. The combination of the destroyed Earth and the betrayal of his best friend had shattered him. On board Galactica the military discipline that had been so rigidly in place vanished with the hope of the Old Man. Not only that but Starbuck finds her own dead body on the surface of Earth leading the viewers to ask, what the frak is she? Needless to say when Battlestar Galactica returned it came back with a bang. Despite President Laura Roslin’s absence as the president the fleet is able to continue forward in hopes of finding a new home. It is at this point that tensions with the allied Cylons reach a boiling point. Some of the humans within the fleet will not abide the Cylon presence anymore. The Vice President of the Colonies, Tom Zarek, with assistance from Lt. Gaeta on Galactica stages a coup to overthrow the government. Admiral Adama is forcibly removed from command and the Quorum of 12, Battlestar Galactica’s version of the Senate, is executed. Bear in mind, this is happening in the midway point of the 2nd half of season 4. Needless to say this kind of action was incredible to watch despite it’s stretching over a few episodes. Eventually Adama regains command of his ship, and executes the leaders of the coup before imprisoning the other military members who participated.